The Geminid meteor shower will send streaks of light across the sky in the last major spectacle of its kind in 2018. 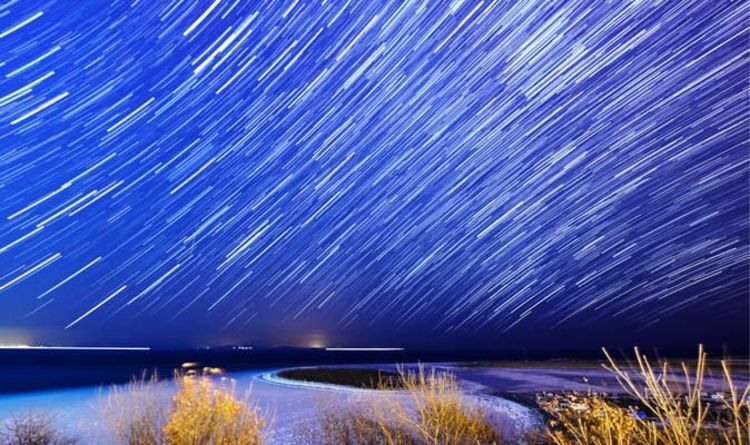 The phenomenon, also called the Geminids, is one of the year’s most prominent showers and peaks between December 13 and 14. Previously there have been some 120 meteors per hour visible at its peak time. How can you watch the Geminids? The best place to see any event in the night sky is away from lights on land. Open expanses out of the city are best, or anywhere with as little light pollution as you can find. Then you should just be able to look up, as the dazzling display will see shooting stars striking across the night sky. However, you’ll need to stay patient to catch the best of the meteor shower due to the unpredictability of the viewing window. Advice from the Royal Observatory said: “Hunting for meteors, like the rest of astronomy, is a waiting game, so it's best to bring a comfy chair to sit on and to wrap up warm as you could be outside for a while. The Geminid meteors appear to radiate from the near the star Castor, but their source is actually from a stream of debris left behind by asteroid 3200 Phaethon. This makes it one of the few major showers not to originate from a comet. The shower can produce multi-coloured flashes, with white, yellow, blue, green and red visible. 3200 Phaethon gets its name from Greek mythology, with Patheon being the son of Helios, the Sun god. The blue colour originates from the asteroid reflecting more light in the blue spectrum. According to EarthSky.org, Phaethon is not just unusual because of its colour, but also because of how it travels.